There is no denying that getting married can be an expensive business. The average wedding in Australia now costs upwards of $45,000 dollars. In general, the cost of the wedding venue plus the food and drink account for 50% of most couple’s outlay. If you are planning a wedding on a budget and you want to stick to it then one way to do this is to focus on the venue. The single, most obvious way to arrange a wedding on a budget is to cut down on your venue costs by downscaling your guest list. Think about who you really want at your wedding. You could limit the guest list to close friends and relatives only. Do you really need to invite those second cousins from the country whom you have only ever seen twice? You may need to be firm with your relatives as well, especially when mum wants to invite all her friends! You don’t need to feel under pressure to invite all your colleagues from work. Most will understand if you explain you are only inviting close relatives and friends. Also think carefully whether you really want to invite every single person to bring a partner. Cutting down on the bridal party can also help to cut down the guest list. Do you really need six bridesmaids? There may be some people who would be invited anyway, but it is not unknown for brides to choose their bridesmaids for the simple reason that they descend in height on either side of the bridal couple. If the bridesmaids and flower girls are small then you will feel obliged to invite their parents. Guest lists do have a habit of taking on their own life! The first thing a smaller guest list will allow you to do is maybe hire a smaller room or even a smaller venue. Do take care in general that you don’t hire a room which is unnecessarily large for your needs. The second thing, of course, is that it will not cost as much to feed them all. Think carefully about the timing of your day and the type of reception you want. A buffet is sometimes less costly than a sit-down dinner, but not always, so check with your wedding venue. Or why not go for something different, such as morning brunch, an afternoon tea, an early evening cocktail reception with snacks, a dessert only reception. How about having your wedding cake as dessert? Remember, people also tend to drink less during the day, so this also helps to cut down the expense. The average reception runs for around six hours, so reducing this time can also save money. Discuss in advance what drinks will be served. You could have a cash bar and just offer guests a drink on arrival, with wine offered for the meal. You could just have beer and wine on offer, or a punch. Your guests can make the toasts with what they are already drinking rather than champagne. In some cases it might even be possible to provide your own alcoholic drinks. Also worth mentioning is that the venue may have their own preferred suppliers with whom they have a relationship, for example, florist or wedding cake supplier and using these may also save you some money. 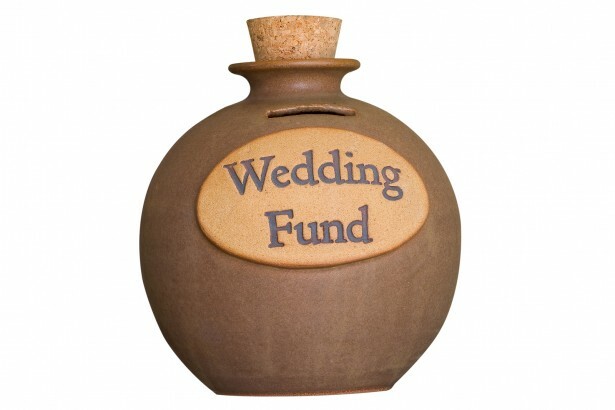 Planning your wedding on a budget really well in advance will give you plenty of time to search out any special offers. Also, waiting till the last moment, can also net some good bargains, if venues have cancellations and special last minute offers for example. Venues have been known to offer a 50% discount for a last minute booking. This is only for the very brave, however! The busiest time for weddings are the spring and summer months when venues can command high prices and some venues even have minimum charges for these times. Outside of these times venues are more likely to be looking for your business with lower prices. Why not organise a cosy winter wedding? Whether you opt for within or outside of the main wedding season, the day of the week can also make a difference. A Friday or Sunday wedding may cost less than a Saturday and a weekday is likely to be even less costly. This will also apply to most of your suppliers, therefore saving you even more money for your wedding on a budget. Think about choosing a non-typical wedding venue where the demand may be lower; or opt for a new venue who may offer a discount while they build up their business. Don’t be afraid to ask for a discount. Start higher, for example ask for 20% and you may get 10%. They can only say No. If you are prepared to pay a deposit there and then, the venue may be willing to offer a discount to secure the business. Maybe the venue is willing to throw in a few ‘freebies’ e.g. champagne or discounted rooms for accommodation or even a complimentary stay in the honeymoon suite. Your wedding day is undoubtedly a very special day and your choice of wedding venue is extremely important. A wedding on a budget can still be memorable and you can save a little cash at the same time which can be put towards your future together. Check out our range of wedding venues to help narrow down your search.